Treasury Department releases analysis of GOP tax plan. It's only one page long. 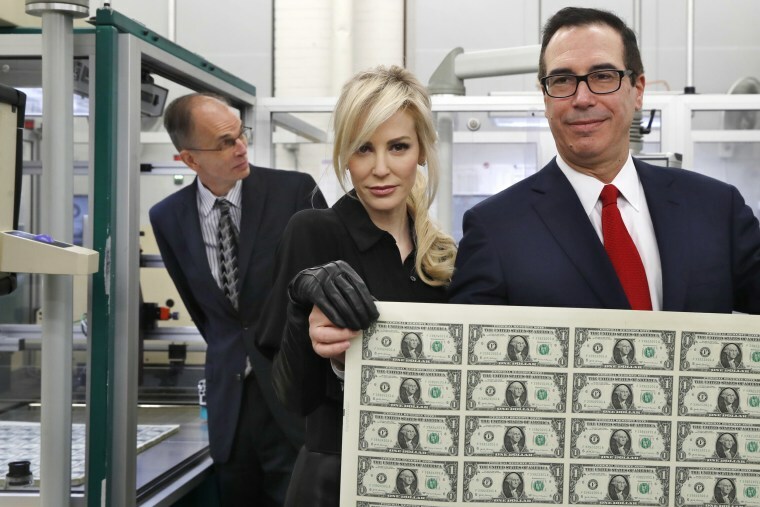 The Treasury Department on Monday released a brief one-page analysis of the Republican tax plan — despite Secretary Steve Mnuchin’s earlier claims that “over 100 people” within the department were working on a detailed analysis. "We are pleased to release an analysis demonstrating the revenue impact of the administration's economic agenda," Mnuchin, a former Goldman Sachs banker, said in a statement Monday. The analysis, from the department's Office of Tax Policy, claims that the GOP plan would raise $1.8 trillion over the next decade — though that projection was dismissed in a statement Monday as "nothing more than one page of fake math" by Senate Minority Leader Chuck Schumer, D-N.Y., and is at odds with estimates from Congress’ own nonpartisan Joint Committee on Taxation. But in a report last month, The New York Times found that the Office of Tax Policy had largely been sidelined from the type of process that Mnuchin described. In a 12-page analysis released last month, the Joint Committee on Taxation found that the Senate plan would raise $408 billion in revenue and add $1 trillion to the deficit after accounting for economic growth. The Treasury analysis assumes that the economy will expand at 2.9 percent — a growth rate that could theoretically keep the national debt from rising. Mnuchin has previously said the plan will “pay for itself,” but in Monday’s analysis, the department attributed more than half of its projected revenue to changes in how corporations are taxed. The Senate plan, however, would lower the corporate tax rate from 35 to 20 percent. "It's clear the White House and Republicans are grasping at straws to prove the unprovable and garner votes for a bill that nearly every single independent analysis has concluded will blow up the deficit and generate almost no additional economic activity to make up for it," Schumer said in his statement.